The Pioneer PL-514 is a high-quality, great sounding belt-drive deck from one of the big Japanese manufacturers. In terms of build and performance, like so much other Japanese gear, it puts many other belt-drive decks to shame. Check out my video, below, and read on for more details. The Pioneer PL-514 is a high-performance belt-driven turntable which employs an auto-return mechanism. 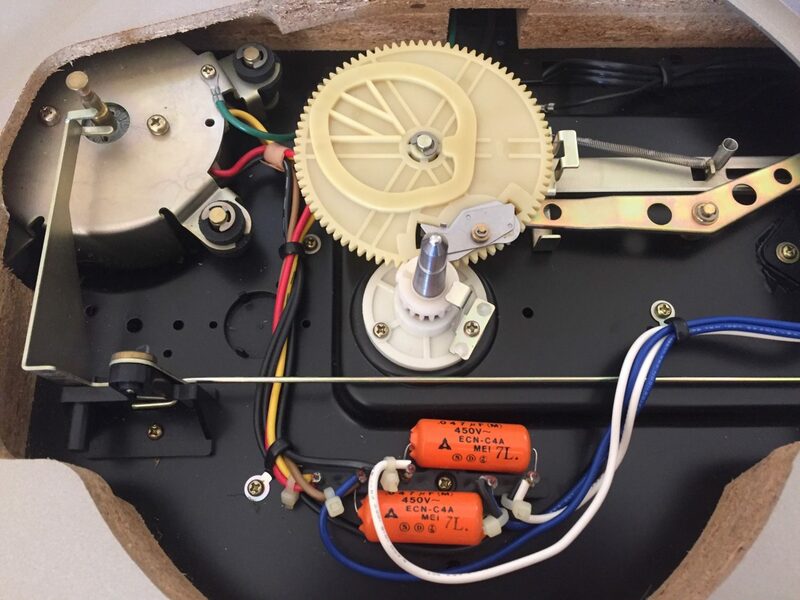 Other features include an anti-skating force control, cueing device, detachable dust cover, insulator feet, plug-in type headshell and a 40mm thick particle board cabinet. I serviced and upgraded this one for her owner. 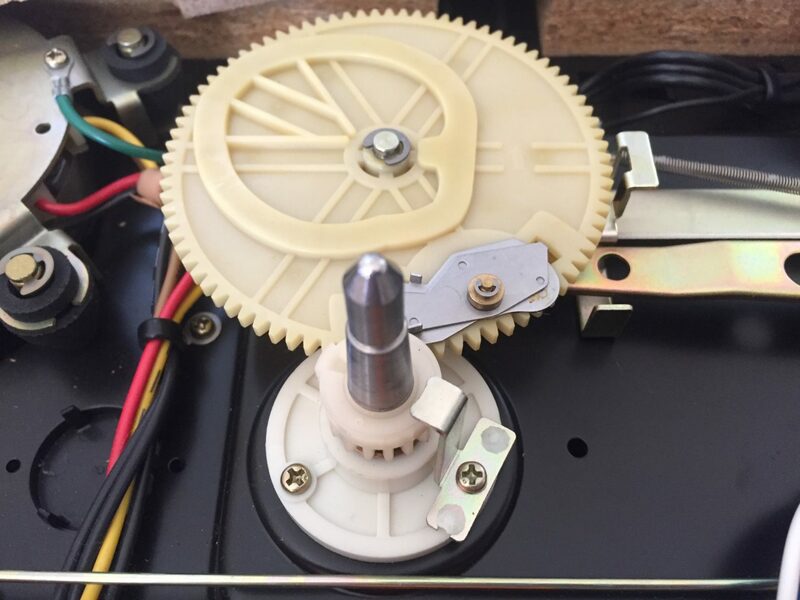 I installed a Jelco HS-25 magnesium headshell, Ortofon 2M Red moving magnet cartridge, new belt and cleaned and lubed the motor, mechanism and spindle bearing. This Pioneer PL-514 runs perfectly now and plays a record very nicely. 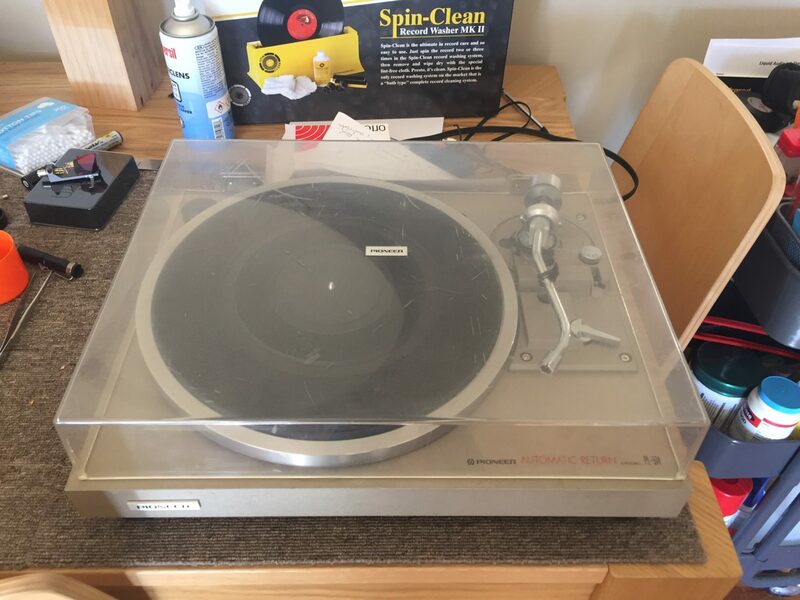 I highly recommend you look for one of these if you need a good, solid record player that will likely last for another 30 years! Platter and chassis top-plate removed to reveal auto-return mechanism, spindle bearing access and motor. 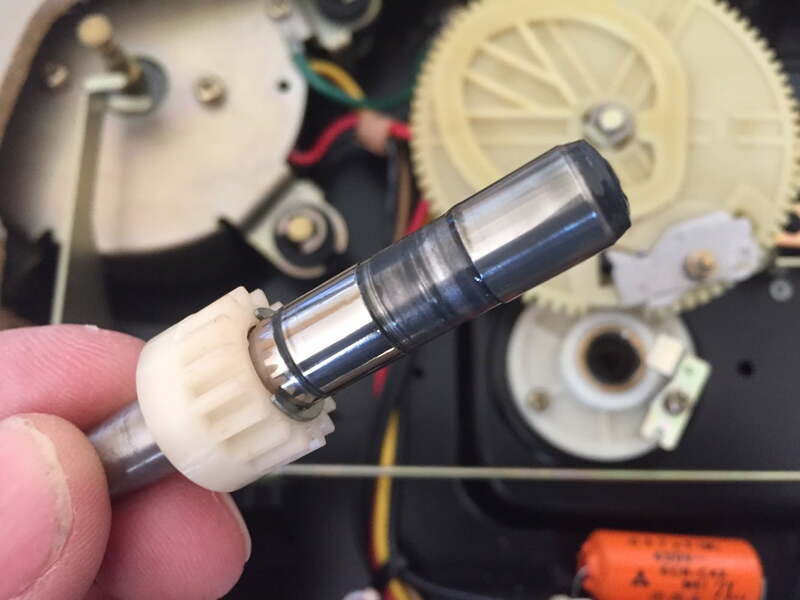 Here you can see the oiling points on the motor, synthetic bearing oil is a good thing to use here, or a good mineral oil. 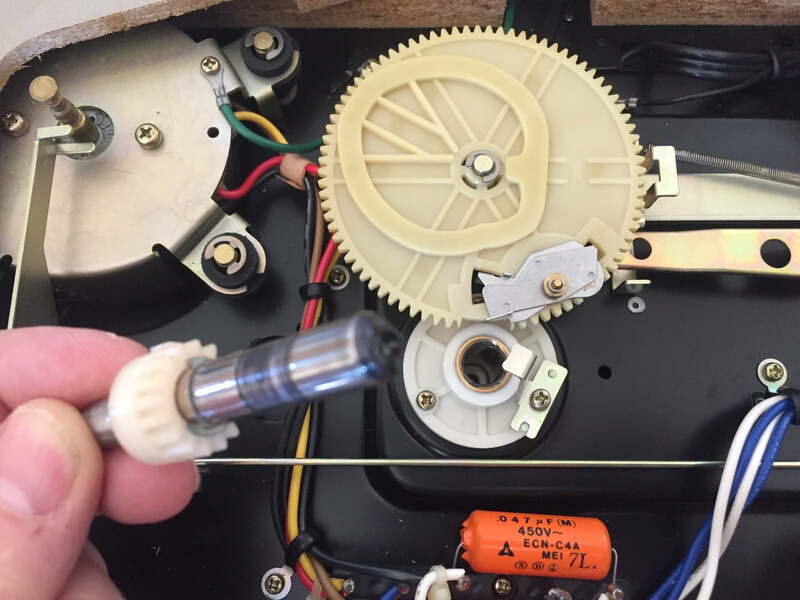 One screw releases the retainer, allowing access to the spindle bearing for cleaning and re-lubing. Pioneer originally used grease here, but it is very dirty and oxidised. Best to replace this with a quality synthetic grease. You can see how dirty this bearing was and how oxidised the grease. Steel thrust ball sits in the bottom of the bearing. I removed this and cleaned everything with a solvent before re-lubing the bearing. Here she is all cleaned up and ready to go, with new Jelco HS-25 headshell and Ortofon 2M Red moving magnet cartridge. 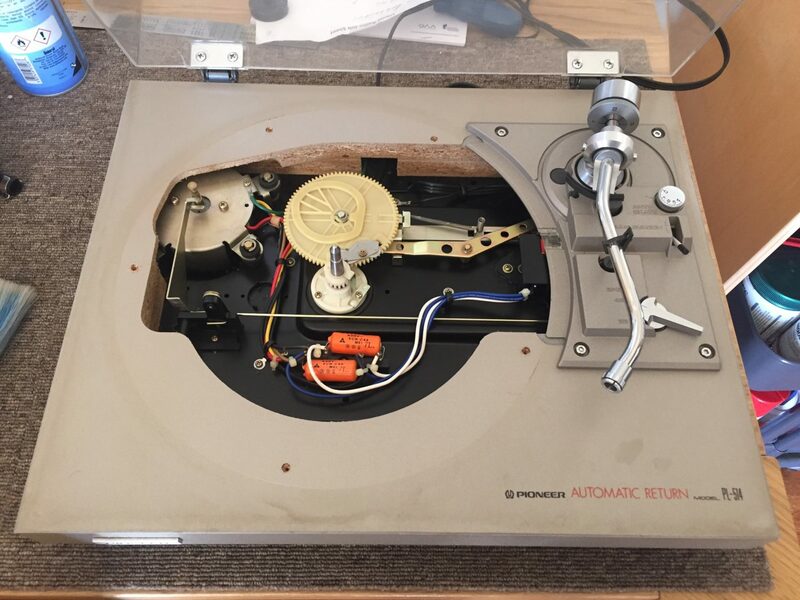 Previous PostAnother JVC QL-F4 Direct-Drive Turntable RepairNext PostFidelity Research FR-1 Mk3 Cartridge + RS-141 Headshell – Wow! 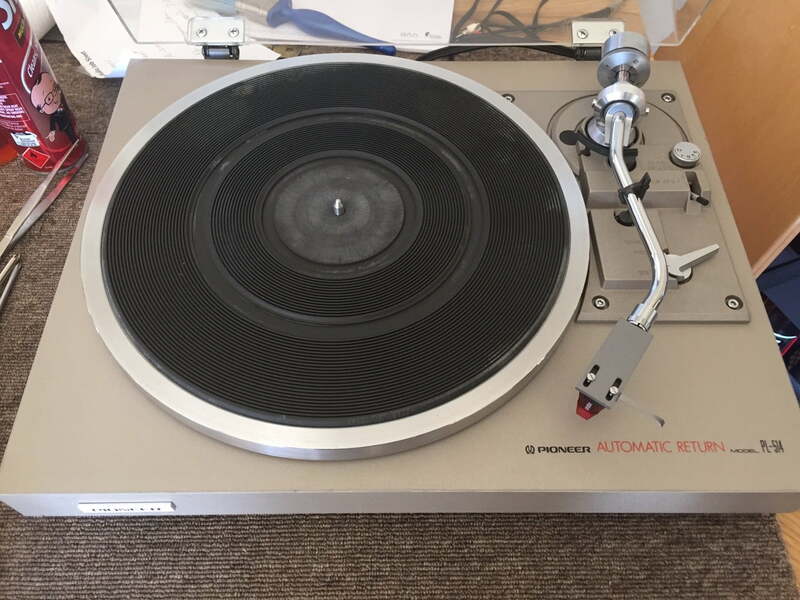 Thanks for the great work on this turntable. It sounds amazing with the service plus new headshell and cartridge. Have owned this for close to 40 years so it was well overdue for a service. Looking forward to many more years of enjoyment. It’s nice to know there is someone who can service and fix these things rather than having to replace. Wonderful feedback, thanks Norm. I’m thrilled that she is sounding so good now! Best, Mike. Hey, could u point me in the right direction for finding lube for this and what brand? Hi Jacob, lots of different lubricants are needed to work on turntables. I use a range of products, most of which aren’t available in retail stores, but are from commercial vendors. If you are looking for a bearing oil, one option is a roughly 30 weight mineral oil. Hi Erkan and thanks for writing! I suggest you stick with the original RCA cable on a deck like this. Japanese manufacturers used good quality cable and on a deck like this, the supplied cable provides a good balanced setup. Excellent, thanks for the reply mike! It’s cleared things up for me. One more question. I have bought 4 nickel plated damping cones/spikes, but now i have heard from forums that its a bad idea for turntables. What do you think if i change the original rubber feet to these? I find the original feet doesn’t isolate or dampen pretty well. Hi Erkan, I agree and suggest you retain the original rubber feet. There are all sorts of vibration absorbent pads you can add to turntables to reduce transmission of ambient vibration, like Vibrapods for example. Perhaps look at these, and at the way your turntable is situated. So if I was to buy these vibrapods do I replace the original rubber feet or just sit turntable with original feet on the vibrapods? You could do either, might be best to experiment with both methods. This is awesome. Just rescued one from going to the dump. Needs some work and this page will help a lot! Great news David and thanks for stopping by! Nice job!! I have a PL-514 that I’m bringing back into service and it needs just a touch of TLC. What oil(s) do you recommend for lubricating the motor and the spindle on the PL-514? 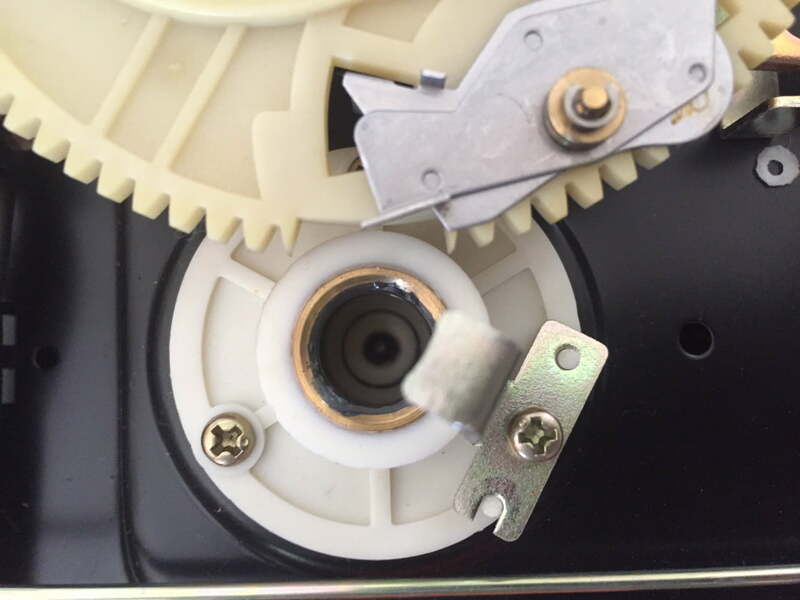 What do you use to lube the auto-return gearing? 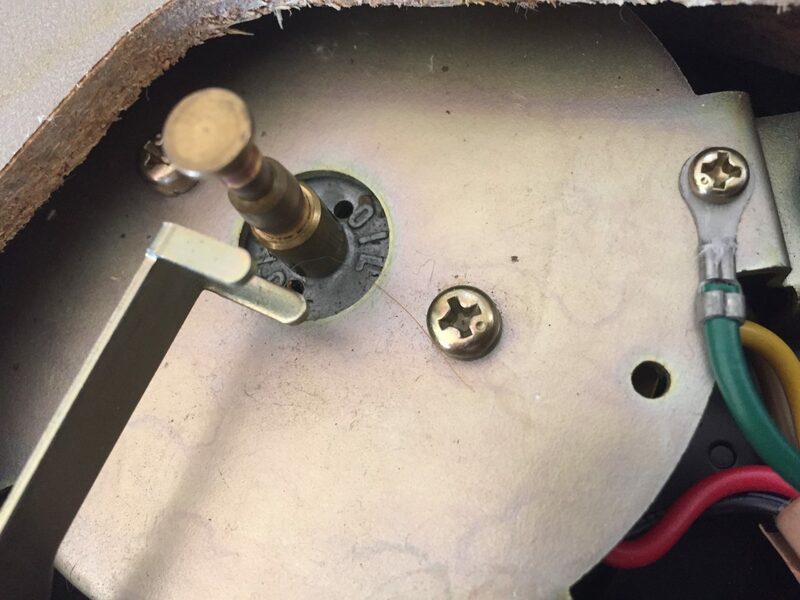 The queuing lever for the tonearm works ok, but I recall it being smoother; what do you recommend for re-lubricating it? Hi Robert, thanks for the comment! I use a range of greases and oils and don’t really want to get too far into that here as it’s an involved topic, varies from deck to deck and the service manual is usually the best place to look for more information on this. Pioneer use a grease bearing for the spindle on this deck, so it’s best to use grease here. In this case and others like it, I use a premium, lightweight synthetic grease and it works very well. Elsewhere, straight 10 weight and 30 weight oils are handy, along with the synthetic grease for gears, but only where specified. I would need to check, but I don’t recall there being any grease on the auto return gears – check the service manual. I also use silicone oils for certain applications, like some cueing levers, but not all – again, this varies greatly from deck to deck.